An efficient and versatile irrigator for the whole family, it allows you to make a great gum massage which helps to improve the blood circulation. A little bit noisy at high speed settings. Ergonomic and multifunctional irrigator for the whole family. It penetrates the most distant and hard-to-reach places in the mouth. 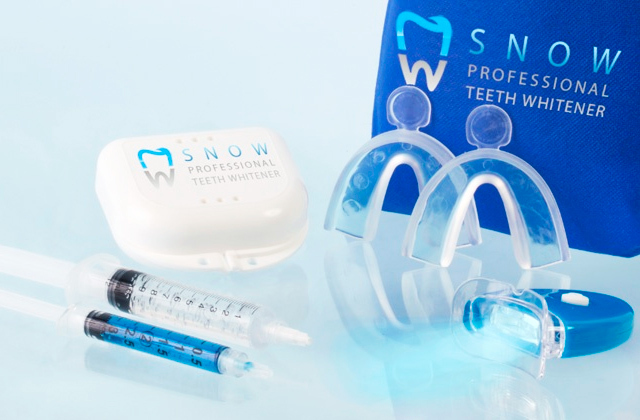 Ideal for cleaning implants, crowns, braces and other orthodontic appliances. This irrigator has a special voltage converter that allows utilizing it regardless of voltage in the electrical grid. This way you can use it both at home and abroad. 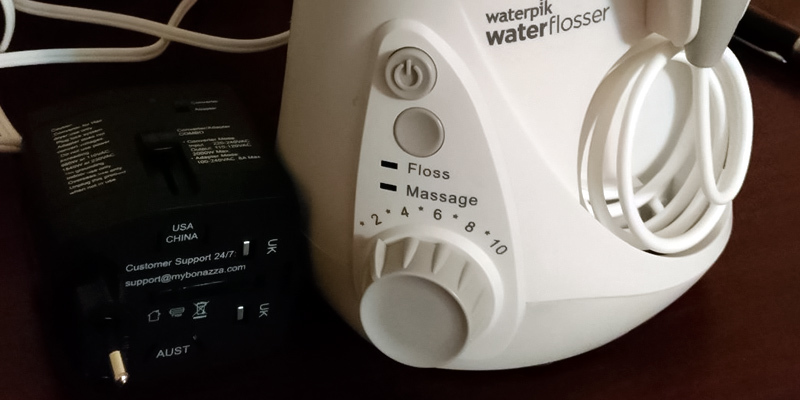 The power button is quite sensitive and can be accidentally engaged when the flosser is in use. 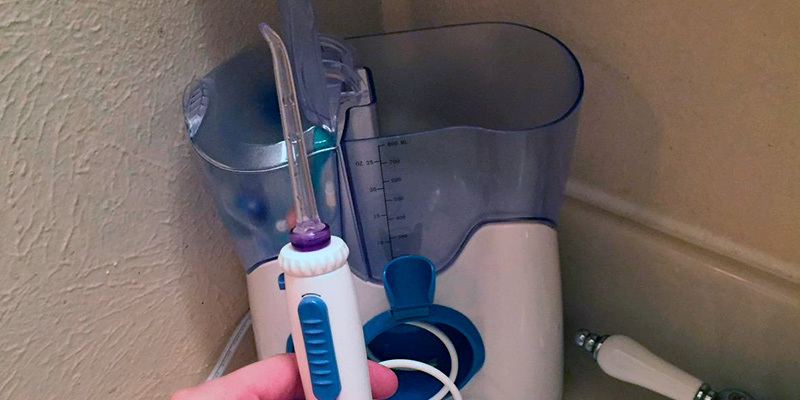 This water flosser from Zerhunt is a practical choice for a small family. Three jet tips feature colored rings so you won't mistake one for another. What is more, three power and pulse modes allow choosing the right floss intensity according to your needs. This irrigator has a compact modern design, battery charge lasts for two months of daily use. A lightweight personal road irrigator, it would not take up much space in your suitcase while traveling. Ideal for people with sensitive teeth and gums. The battery of this model requires only 4 hours of charging but in case you simply forget about turning it off in time, the handy overcharge protection system will switch the power off. Not ideal for people with sensitive gums due to increased floss intensity. 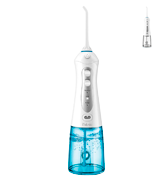 This compact water flosser for the whole family comes equipped with a huge array of useful floss tips that will help in keeping your teeth and oral cavity in good shape. On top of that, IPX7-rated housing makes it easy to use when taking a bath or a shower. 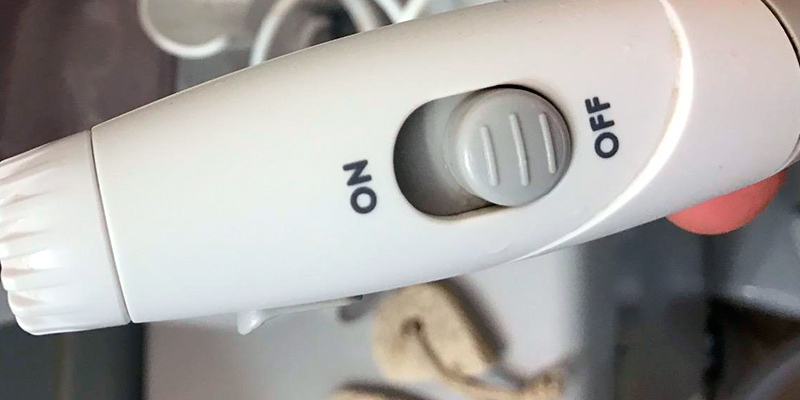 On/Off button is located on the main body of the tank, but not on the handle that can be uncomfortable. Irrigator for the whole family. It is irreplaceable for people with braces, tooth implants or crowns. Can be used even in the night, because it works quietly. This stationary irrigator is very effective and versatile. Why? 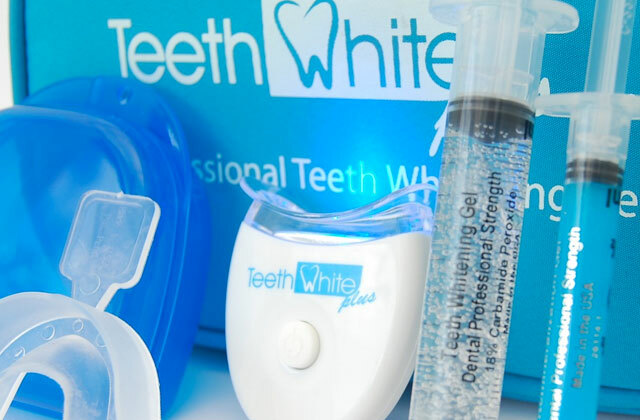 It is ideal for home use and it removes up to 99.9% of the plaque in your mouth. There are two water flossing modes: floss and massage. In this way, you can customize your irrigator to fit all your needs. 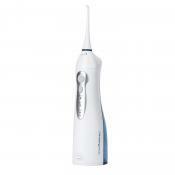 Water pressure can penetrate even the most remote and difficult for ordinary toothbrush corners. 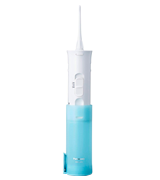 So this irrigator can thoroughly clean all interdental and periodontal areas. Ten high-speed modes allow you to adjust the water pressure. 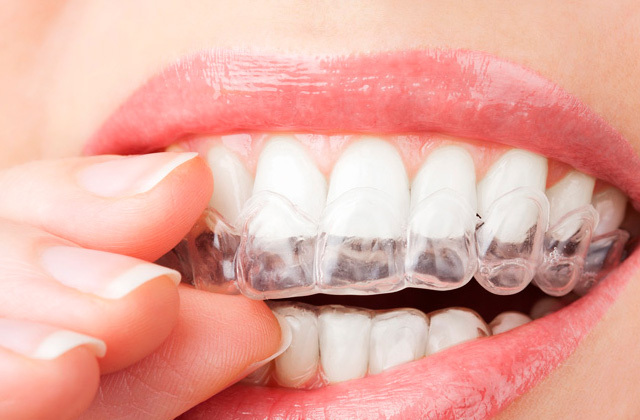 It can provide not only effective cleaning but also a great gums massage. Such technology improves circulation and strengthens the immune system. The capacity of the liquid tank is 22 oz, and it is more than sufficient for continuous use of the whole family. 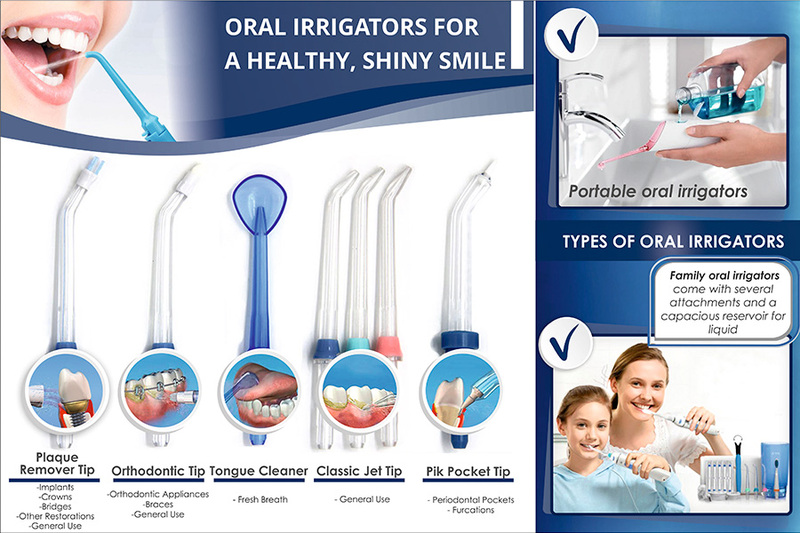 This irrigator includes 7 tips which will provide a good cleaning of your teeth and gums. It can also clean implants, dentures, braces and crowns. Thiswater flosser is equipped with a convenient timer which counts down the time of the irrigation. After every 30 seconds, a LED timer indicator will inform you about the need to change the cleaning zone, which is quite handy. 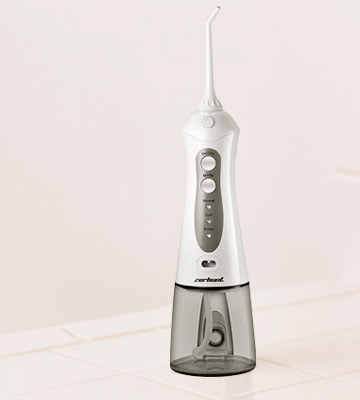 Alternatively, a special 360 ° rotating tip will eliminate all traces of food and soft plaque. 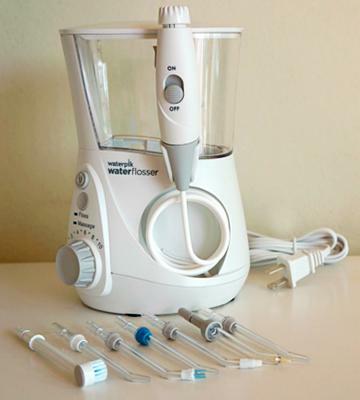 After two weeks of using this irrigator, you will notice a significant improvement of your oral cavity. Comes with varying speeds and multiple heads that snap off easily. 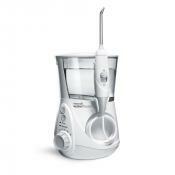 This also has finer tuned speeds, a massage option, and a built in timer for thorough flossing. Great product, great price. Small and light but just as strong and durable thanks to a more efficient DC motor, according to WP. It comes with a few additional attachments for it as well. The cord comes back in nicely so it doesn't get tangled up and in the way. 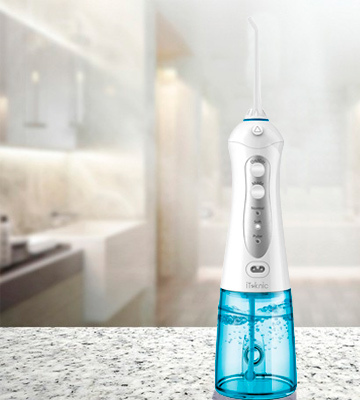 This cordless water flosser from Zerhunt has all it takes to be a great solution for day-to-day dental and gum care for the whole family and not solely because of the number of tips included. 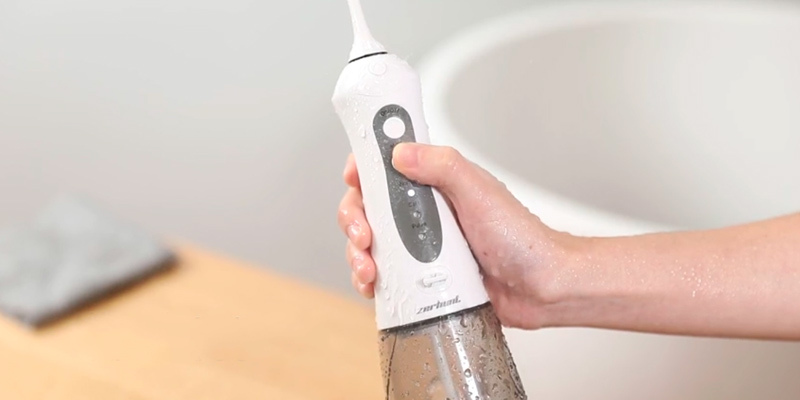 First of all, this water flosser from Zerhunt features three different speeds that determine the water pressure level. The highest speed option can be rather intense for some users, so we recommend going from the lowest one first to figure out which one of the three works best for you without making your gums or tongue uncomfortable. 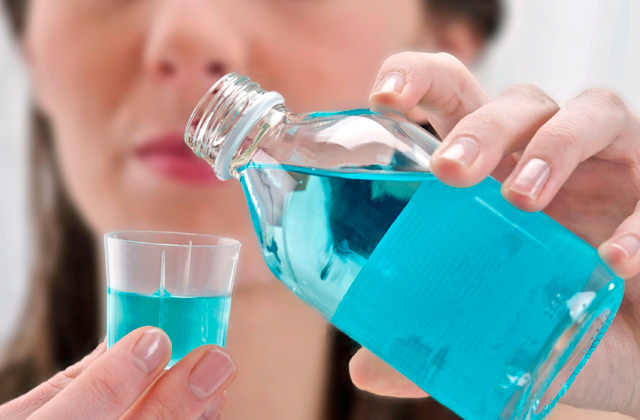 On top of that, it is preferred to use warm water to avoid possible gum or tooth pain. The reason for that is the combination of high pressure and cold water can lead to minor damage to soft tissues inside of your mouth that may not be painful but can be quite uncomfortable. 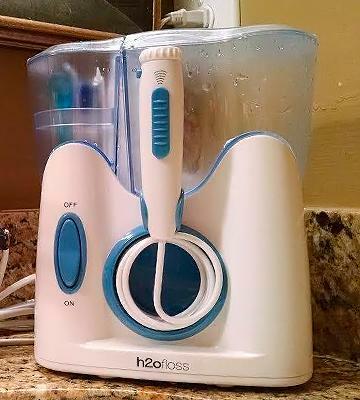 The water capacity of 10 oz makes it easy for a family of three to floss their teeth once before needing to refill it. Additionally, a water tank of this volume will be more than enough for one person to floss for two days straight. As for the refilling of the tank, there is a special opening that you can use to pour the water into without detaching the tip of the device itself. Alternatively, you can remove the tip to fill the tank from the top a little bit faster. The tank can be cleaned with relative ease by detaching it from the main unit and washing it with a light, non-toxic cleaning liquid. 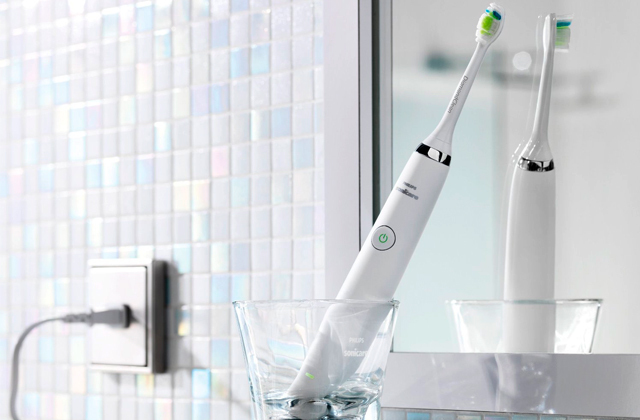 Additional flossing modes, on top of the standard change of intensity, include a water pulse mode that can shoot up to 1700 pulses per minute. This feature will be convenient for users that need an extra means of dealing with food debris in the oral cavity. What is more, the pulse mode makes cleaning of the oral cavity a real breeze for people with braces. 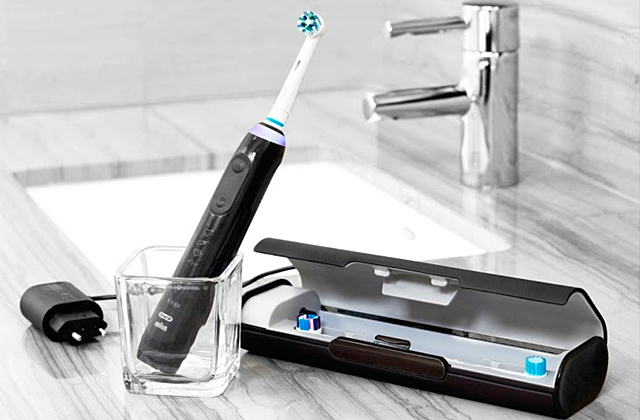 The method of powering this flosser includes a built-in lithium battery with 1400 mAh capacity, which should be more than enough to use the tool up to one week straight even if the whole family utilizes it twice a day. As for the protection of the battery and electrical components, the device features an IPX7 waterproof housing that will prevent any spills from getting inside. This also applies to all the connections while the device is not charging. 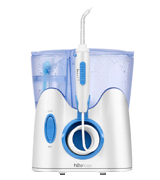 All in all, this updated water flosser from Zerhunt is one of the best deals you can get at a reasonable price. 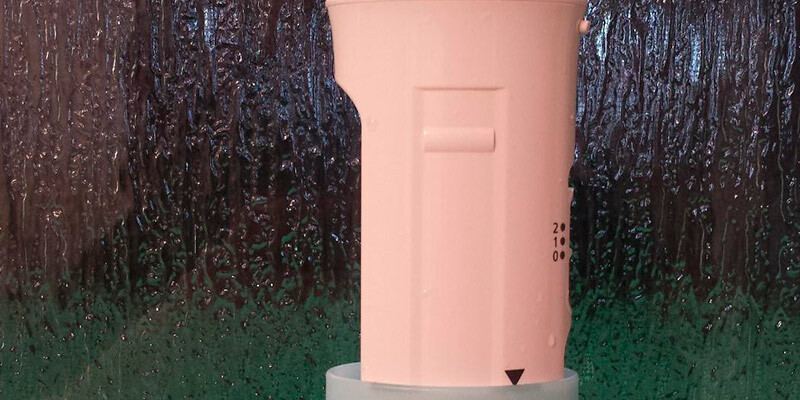 A great combination of a sizeable water tank, rechargeable battery, and additional tips make it a universal model for the whole family that will definitely find its place in your bathroom. 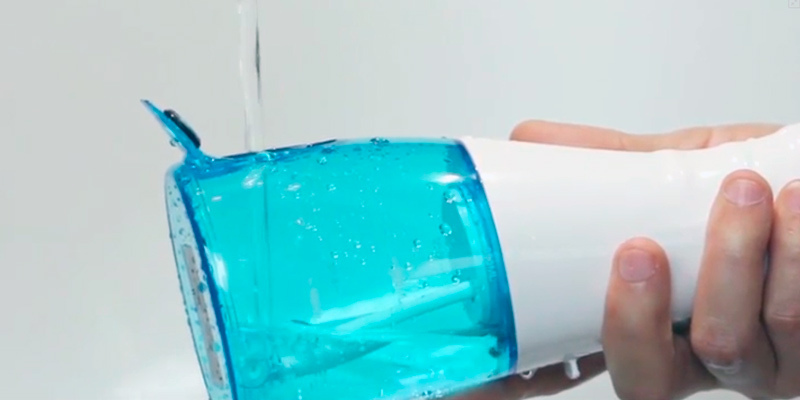 This little and portable dental water flosser will certainly clean all the places which an ordinary toothbrush cannot handle. A compact and ergonomic design of this model makes it possible to use the irrigator while travelling. It does not take much space and is easy to store. The constant water flow cleans all hard-to-reach areas and improves the blood circulation of the gums overall. 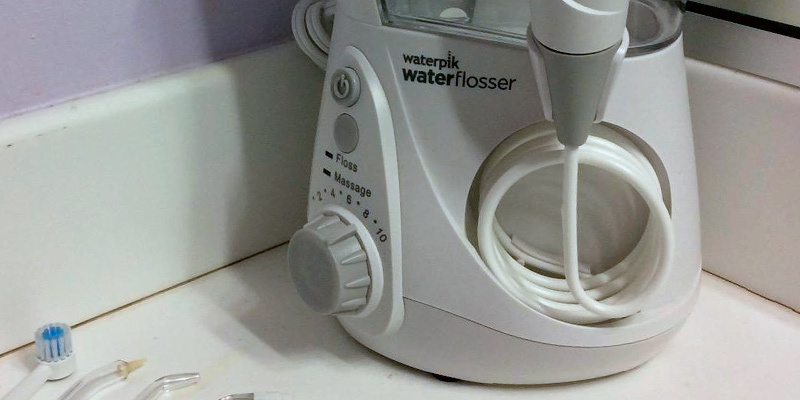 The flosser has two speed modes: intense and soft. 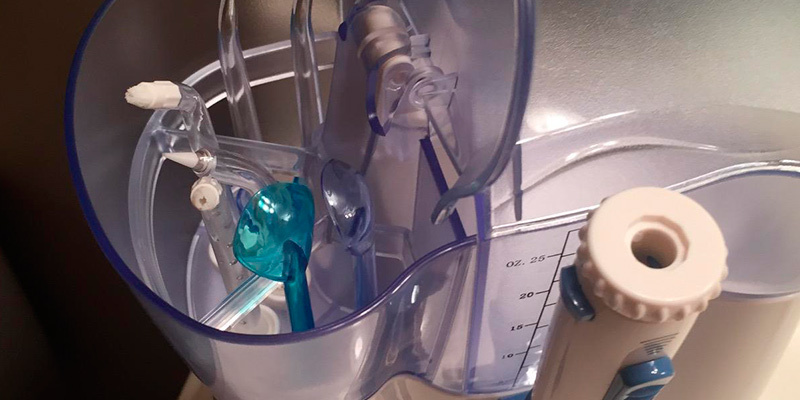 The first mode will provide thorough cleaning of the teeth, while the other one is recommended for people with sensitive teeth. It gently cleans and makes the hydro massage of the gums. 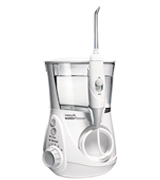 This irrigator includes only one standard tip for classical cleaning of the teeth. Although it has a somewhat small water tank, it is typical for the majority of the portable irrigator models. 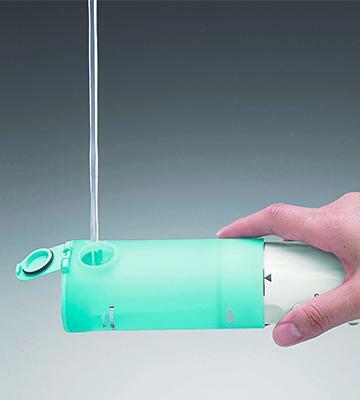 The irrigator has a convenient compartment to store tips in the body. 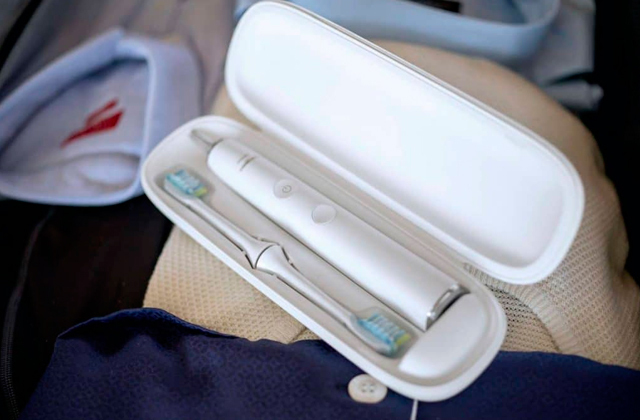 As for the batteries, you will need only two AA batteries in order to power the device, which are included in the package along with the flosser itself. You can use this irrigator up to 35 times without charging, which is quite neat as for such a small device. Due to the watertight body, you can wash it under the running water. You can regulate a high-speed operation by a convenient button on the handle. 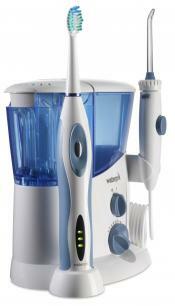 Waterpik Aquarius (WP-660): 3.8 in. 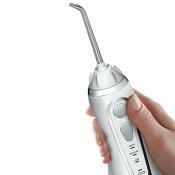 H2ofloss Water Dental Flosser HF-8: 6.5 in. Its water capacity is big enough to hit all of my teeth more than once. Nice and compact for travel. This is the best way to massage and clean the pockets around your teeth for healthy gums. 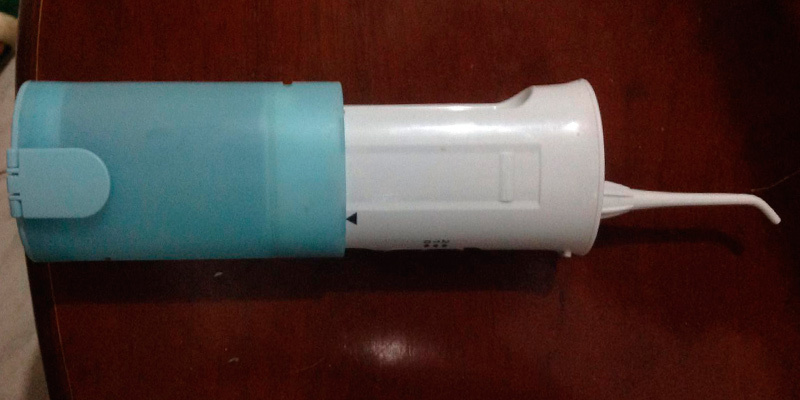 There's a place to store the tip inside the white plastic top. I replace the batteries once a month. The iTeknic is a great water flosser that can compete with some premium stationary flosser products when it comes to flossing quality. But what does this particular device have that makes it so different from fully-fledged devices? 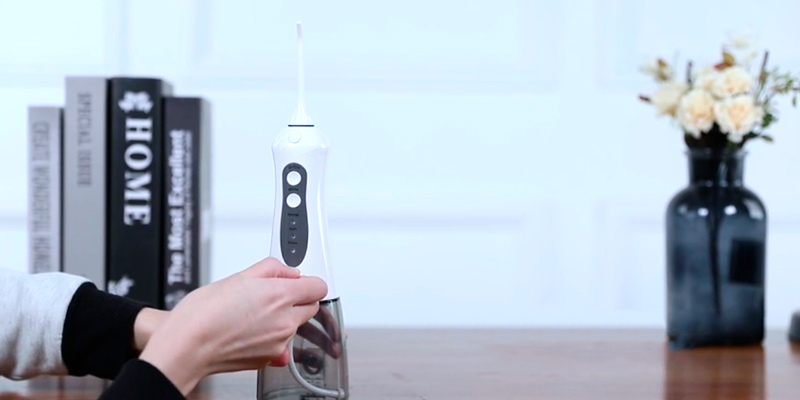 The answer is simple: unlike other portable dental care tools of previous generations, this oral irrigator from iTeknic features a built-in, rechargeable battery instead of regular AA batteries. Moreover, a special power saving function allows the device to conserve power when it’s not in use. 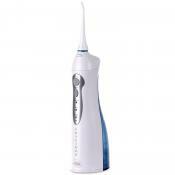 This way, a simple 1400 mAh battery allows using the tool for 10 days while flossing your teeth regularly. 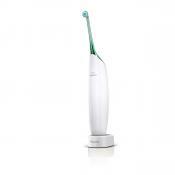 The battery can be easily recharged in just a few hours using a USB cable that comes together with the flosser. The additional features of this model include five flosser tips, making it a great model for the whole family since they are interchangeable and can be washed with ease. The tip set includes three regular jet ones, a tongue scraper and an orthodontic tip. While the jet tips are meant for everyday use, the tongue scraper and orthodontic tips will come in handy for occasional use or in case you are prescribed to use them by your dentist. 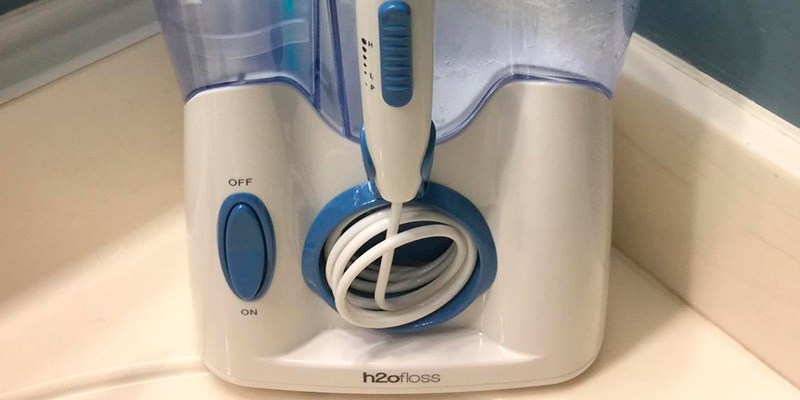 Flosser tips aside, let’s take a closer look at other features of the water flosser. Just like any other model, this device can be utilized in three different modes that you can switch with handy buttons on the side of the housing. 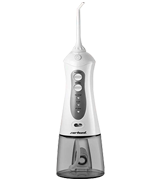 The combination of multiple intensity modes and a 360° rotatable nozzle makes it quite versatile when it comes to actually cleaning the oral cavity. In case the maximum intensity water flossing is not enough for you, the tool also has a special pulse model that can easily clean food debris from the areas between the teeth. The pulse frequency that can range from 1400 to 1800 times per minute will definitely make a change for the better. This mode also massages your gums and tongue. 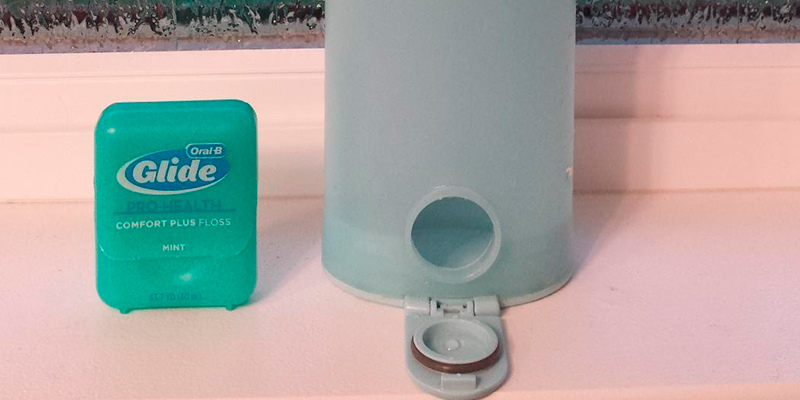 The only downside of the product is its water tank; you will need to refill the water tank quite often in case you want to use this model as a flosser for the whole family. Even though the 10-oz water tank is not small, the amount of water used for one flossing session is quite large so it is important to keep that in mind. As for the maintenance, the 1-year warranty that comes together with a product can be extended up to 1 extra year if you register the flosser at the iTeknic official website. 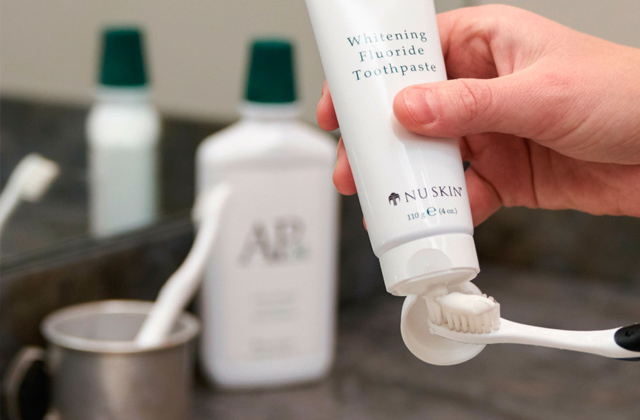 This makes this flosser a great investment for your dental care kit. In the end, the iTeknic water flosser has proven to be one of the most affordable and effective models for the whole family. So, if you are looking for an entry-level model for daily use, make no mistake, this is one of the best bargains on the market. This stationary irrigator is intended for home use. A silent motor operation will not awake your family even if you decide to use a water flosser at night. It includes two modes of water flossing: floss and massage. Such a variety of modes is definitely an advantage when it comes to effective cleaning of the problematic areas between the teeth. Irrigator H2ofloss® Quiet Design has a 6-speed mode with the possibility of adjusting the level of water pressure directly on the handle. Thus, everyone in the family will be able to choose the best mode for themselves. 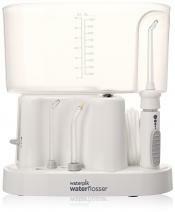 Water tank capacity, on the other hand, is more than enough to fulfil the needs of one-time flossing without a problem. Moving on, the twelve rotating interchangeable tips meet the requirements of your teeth, gums and even the nose. 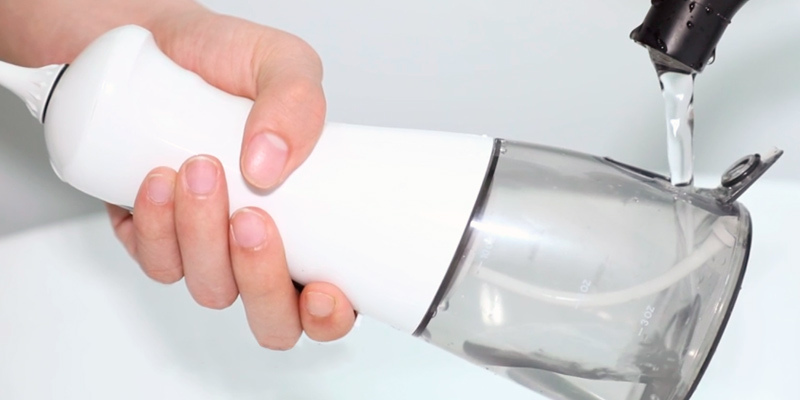 The device features a completely sealed body, which doesn't let the water get in. The irrigator can be easily washed with tap water, while the removable water tank makes the cleaning a comfortable process. This flosser is perfect for cleaning implants, dentures, crowns, braces and other orthodontic appliances. Wrapping things up, the flosser from H2ofloss can become a great pick for dealing with your oral cavity. Lots of tips and variable speed/pressure for cleaning my teeth. It is a nice size and fits nicely on our bathroom counter. 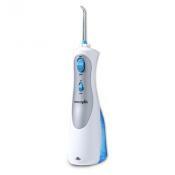 I have tried most brands of dental irrigators and this is the best by far because I like a strong pulsing jet. The price was great and the number of different tips that come with it are great. Works beautifully. Our review will help you choose a perfect flosser. Flossing is a simple and quick way to take care of your oral cavity by cleaning out more plaque and bacteria between the gumline and teeth under the water pressure. Additionally, the flossers (that are also called oral irrigators) can help you clean the mouth from food particles. Some irrigator models can also perform the massage of the gums to improve their condition and increase blood circulation. The working principle of the water flossers, as well as the irrigators, is fairly simple: after you fill a tank of the device with the water or a special medical liquid (liquid flosser) you direct the water flow into the oral cavity or plaque. This way you can clean even hard to reach areas such as spaces between the teeth. The pressure of the water can be adjusted with a tiny pump or a dial, which is embedded in the device. 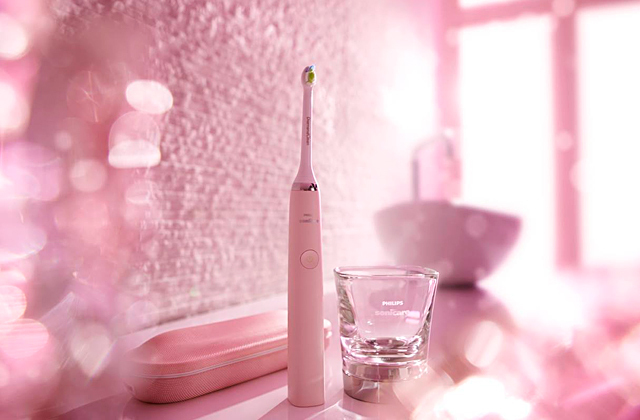 Read about electric toothbrushes. Similar to oral flossers, they are designed to fight bacteria and built-in plaque but in a slightly different way. Firstly, you need to decide how you are going to use the oral irrigator. There are two types of irrigators to choose from: stationary and portable. For home use, we would recommend you go with a stationary one. Though a bit bulkier than portable models, it doesn't take up a lot of space and can be placed on the sink. But if you search for a compact thing to take with you on trips or there's no outlet in your bathroom, a portable irrigator will be a better choice. They are as effective as stationary models but they usually have smaller tanks and their lifetime is a bit shorter. Next is a cleaning technology which is determined by characteristics of water pressure. Irrigators that work by means of a constant water flow supply are known to be effective yet a bit outdated. They are often replaced by models that perform a pulsating cleaning. Pulsation of a water jet is usually short, almost imperceptible, but effective when it comes to cleaning plaque. The other technology used in the irrigator production is micro-droplet technology. Thanks to this technology, water in the tank is saturated with oxygen and water flow directed in the mouth is more effective at killing pathogenic micro flora. By construction, we mean all those little things that directly affect the convenience of use: cleaning velocity modes, tank volume, additional tips, their types, and more. One of the most important things is the possibility to control water jet pressure. Check out the package and see if there are any additional tips come included. Consider tank capacity as well. It will be different in different models and define how long you'll be able to use it. 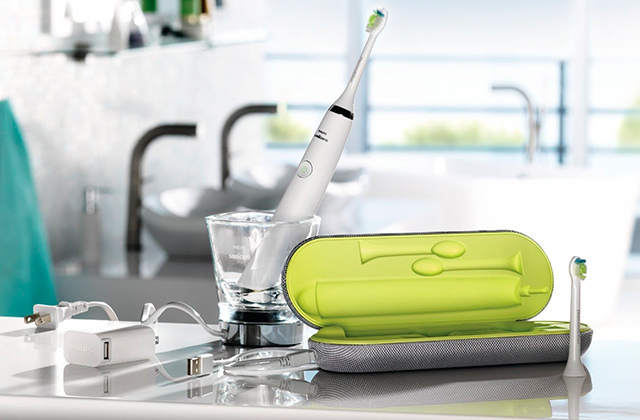 If portability is not important for you, though, you can opt for tank-less water flossers which connect directly to the faucet. Many irrigators can offer some additional functions, e.g. rotating tips, timer, directing tip for proper water pressure, the possibility to adjust the water pressure level, the list goes on. These features can make irrigators more effective and useful.